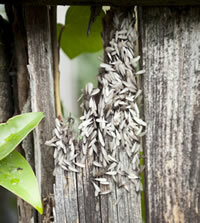 If you believe you have a live termite infestation -DO NOT SPRAY OR DISTURB THE AREA IN ANY WAY. Termite are incredibly destructive and will relocate position if disturbed in their chosen area – in effect, you could likely be left with damage to further areas of the dwelling. Contact Pest Control immediately so that identification can be made as quickly as possible to assess the best solution for termite control as well as prevention. Each day you wait, more expensive damage is being done. 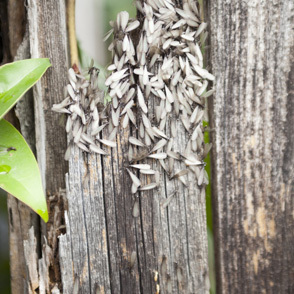 We can help you avoid this situation, HAVE A TERMITE INSPECTION & PREVENTION SERVICE CARRIED OUT. Post inspection we’ll be able to advise on how best to protect your property and minimise the probability of Termite Infestation.